Most transport blogs consider January to be the start of the year when they tend to look forward to see what the new year will bring. Well on Plymothian Transit I like to do things slightly differently, so just like last year, I leave it to the start of February for my customary look forward to 2015. But first things first - how did I do on 2014? Normal repaints will restart later this year and swoops will end up the predominant livery by the end of the year. At least two more “Flash” routes will have started. The main route network will continue to grow with more routes outside the City. Several new routes will be gained under tender in both Devon & Cornwall. Like many others I see Citybus in Mount Batten sometime in the year. Tavistock routes expanded, Torpoint possibly contracted. Buses: More new double decker's, probably E400s later in the year. More double decker's from Go Ahead London, possibly Wright bodied WVL class buses later in the year. As well as the Scania’s already coming I think we could see a few other single decker's joining the fleet from within the group. The N reg batch of Dennis Darts will be withdrawn, along with a start on the R reg batch. Citycoach: One or two second-hand from within the group. Photo credit: Tom Micheals under Creative Commons Licence. First will still be around in Plymouth at the end of the year. Probably treading water with a few route changes along the way and rejigs to combat more expansion from Citybus. 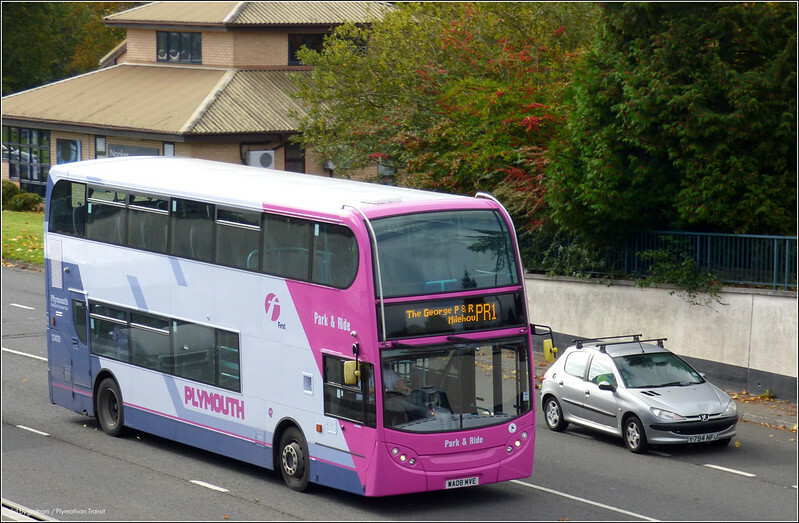 First Cornwall will be the next to get a Somerset style makeover with a similar non-corporate livery. Cant claim that yet. There are a couple of Solos in Somerset style livery but opinion seems divided if its the new livery or not. No new buses for Plymouth. Possibly more Tridents transferred in to see off the remaining Olympians. First Devon will see a few more buses in the standard new First Group livery. Possibly PLYMOUTH branding in to replace DEVON? Target will continue to contract loosing one or two routes under tender. Probably focus more on their coach work. Yep. Although we have seen an improvement in the bus fleet rather than the coach side. Jackett’s will gain more routes in Plymouth and South Devon. They will get their destinations working! I hope that WG will still be around as an independent operator by the end of 2014. Faced with First who clearly want to make a go of it in Cornwall, if not Devon and a county council who no longer want to pay for it there will be more cutbacks. If anyone does make an offer then I think its more likely to be Stagecoach than Go Ahead. I will claim this as a point as they are still around and they are still independent. Not much of a prediction as its already started, fleet replacement of the last Varios will step up. Quite a fleet of Darts and Tridents over the coming year. An easy point as yes, there were more Darts and Tridents coming in along with a few DAFs. Plymouth routes remaining pretty much the same. An interesting one this. 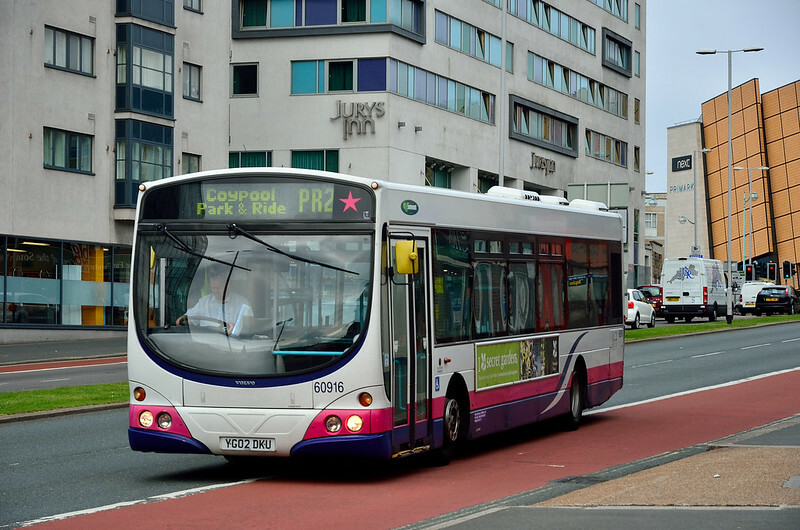 The Plymouth routes themselves do indeed remain pretty much the same although they are not operated by WG anymore! Score: Stagecoach 0.5 out of 1! Railway new routes – more talk, no action. Airport – nothing. Real time display – no change. Bretonside – more talk and no action. Any action will be to develop the site rather than any attempt to replace the bus station. Wrong! We do now have plans, and the site is being cleared. Sherford Corridor – There will be plenty of talk about exciting new plans along this corridor. Councillors will speak of trams, monorails, trolley buses, guided bus ways and all sorts of exotic things. We will end up with a few extra bus lanes and maybe one or two stretches of bus-only roads. Park & Ride: The council will continue to complain and nothing much will happen. Maybe new fleet names / low level branding on existing buses to help market the services. Correct - to a point. There is a new livery to help show off the Park & Ride buses but there is no selling of the service at all on the buses that I can see.A few extra single decks have been brought in and one or two have been smartened up with the new livery but its still not uncommon to see very scruffy Barbie liveried buses on the two routes. Score: Others 5 out of 6. Overall score: 15.5 out of 30! Not so much a prediction, more of a hope than anything else. I will strive to post 4 – 5 times a week over the year but there are many things which can get in the way. A few of you will know that my son is having difficulties at the moment (I wont go into them here!) which has lead to a reduction in trips out. Hopefully things will settle later this year once he makes it into secondary school. He is top priority over anything I do for Plymothian Transit! That said, it will continue and there will be other side projects along the way. Plymothian Bus Services is currently the main project which will continue to be built up through the year. The other thing I hope to expand upon is the interaction that the blog is getting these days. There are a lot more comments being left by a lot more people which is brilliant. The recent survey was really useful for me, and there will be a few others over the coming year, possibly shorter and more to the point than the last one. Well 2014 was a pretty good year on the blog. I actually managed 227 posts in 2014 which is actually 4.3 posts per week as I had hoped for! More importantly from my point of view, is that the last couple of months has seen an increase in better, longer posts than has been the case for some time. Part of this is down to the simpler format which also allows for larger photos, but also me being a bit more organised. 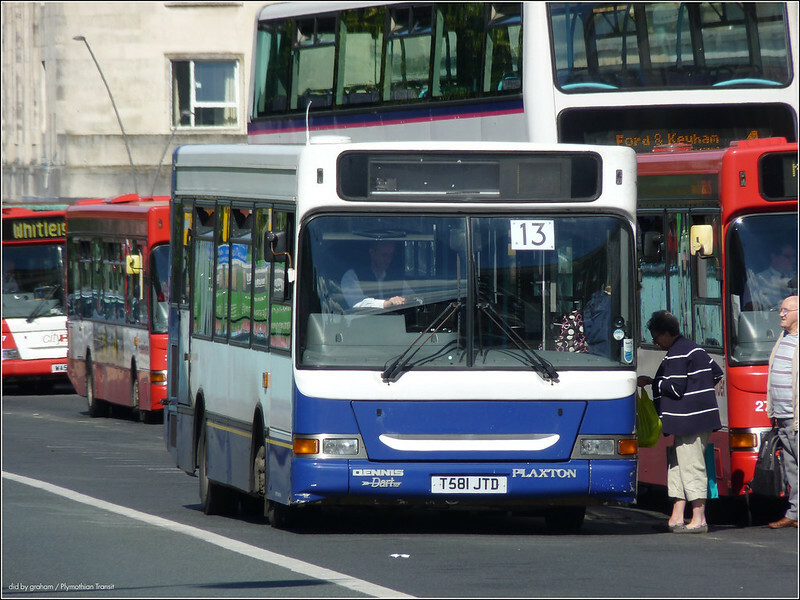 The on-going project Plymothian Bus Services has also helped as its becoming a much more useful resource as I plot the constant change in our local bus services. As I predicted things have indeed quietened down a little at home as Zak has become more settled in school so hopefully 2015 will see more trips out. 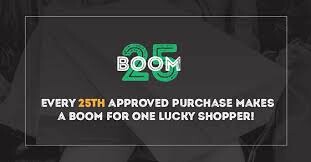 A brand new camera last year will also help! most of the old dennis dart have been sold and most are either still for sale or will be scrapped! i do know that the volvo b7rle's will have a swoop sometime this year but i don't know when. 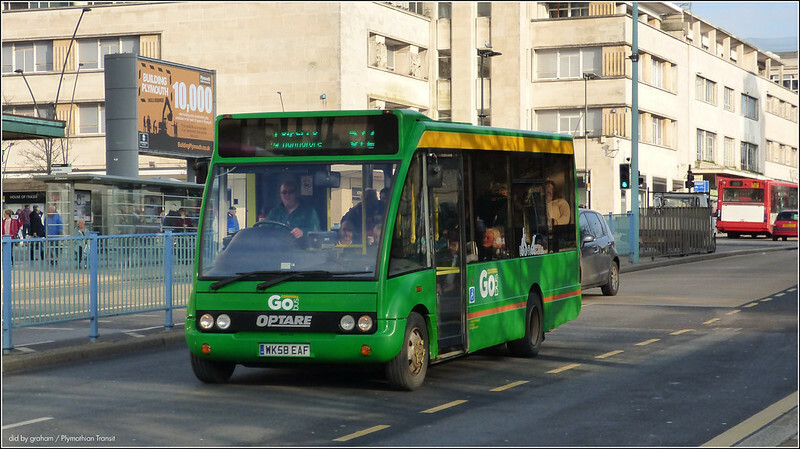 At least one of the mini Solo's has been out shopped in the new Go Cornwall Bus livery. As expected, it is all over red with white swoop. Exactly the same style as PCB just different logo. Odd that they have retained the "Your local bus service" line on these vehicles though! And, strange seeing a red bus with green destination display.